These tongs could be by John Pittar but I have attributed them to John Power. 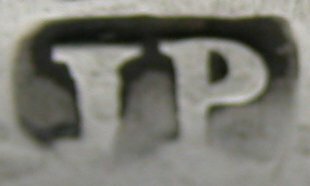 This is because John Pittar’s mark tended to have a pellet whereas this mark appears to have no pellet. These are another lovely pair of Irish sugar tongs with a feather edges design with a rose motif engraved on the shoulders and unusually circular shaped bowls. 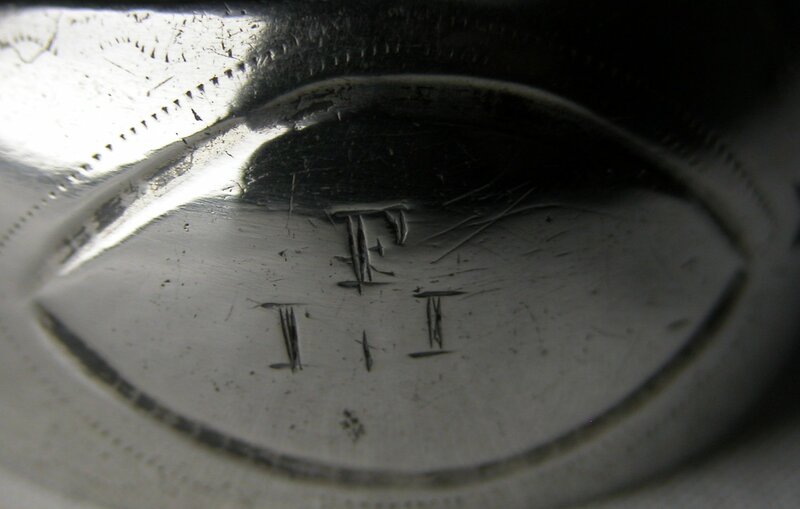 From the shape of the hallmark the tongs can be dated to between 1787 and 1793.